Roque Perez-Velez has learned the value of industrial and systems engineering during a career that has spanned manufacturing, healthcare and volunteering for IISE's Society for Health Systems. "This is a great profession and keeping up to date with the magazine and the meetings and the conferences always sharpen those skills that I can use anywhere," said Perez-Velez, a member of the SHS board of directors. A management engineering coordinator for U.S. Health in Florida, Perez-Velez first got involved with IISE in the 1980s as a student at the University of Puerto Rico Mayaguez. After 10 years in manufacturing, he has spent the last 17 in healthcare. In addition to his work for the SHS board, Perez-Velez has helped plan sessions at the society's Healthcare Systems Process Improvement Conference, providing insightful guidance, working on opportunities for student competitions and helping find speakers. He said the board has been working on ways to continue adding value to members like himself, who have been around for quite a while. While subcommittees deal with new members and student chapters, the board thought it was important to recognize and meet the needs of experienced personnel who still value educational opportunities, employment openings, networking and, of course, the highly coveted status as a diplomate. "Achieving diplomate status is the recognition of my peers that I have provided back to the society and being at conferences, helping with the conference planning, the execution, and that I have accomplished a level of status not only in my work environment but also by helping others in the society accomplish their goals," he said. Over the years, that help has included volunteering for the Catholic Charities Gainesville Regional Office in Florida, where he spent three years advising the board of directors on operational issues. Now he is on the board of directors of Elder Options, a nonprofit that helps the elderly and disabled. Like Catholic Charities, the Elder Options board needed help improving processes to reduce internal costs to maximize its ability to serve its constituents – in this case the elderly community. He also volunteers for the Boy Scouts of America and is in the military reserves. "It doesn't matter what I do in my life, I always [apply] IE skills into everything," he said. And for IISE, he plans to continue doing volunteer work after his term on the SHS board expires. "The board always needs help, you know," Perez-Velez said. "So even without having an official title as a volunteer I will help them with whatever they need me to do." Industrial engineers are known to pitch in where their expertise is needed, and that was true May 21 at the Habitat for Humanity Restore in Anaheim, California. Brion Hurley said 20 volunteers joined IISE's Sustainable Development Division's fourth annual service project, held in conjunction with the IIE Annual Conference and Expo. "We actually had to turn people away due to the interest level, so we'll consider that into our plans for next year," said Hurley, a lean Six Sigma black belt at Rockwell Collins. "It's a good problem to have." Restore receives donated household and construction items and sells them to the public. Proceeds help fund Habitat's core work of building homes for low-income families. The volunteers divided into two teams. One worked in the warehouse, unpacking, assembling and delivering furniture to the showroom floor. The ISEs set up some seriously efficient processes to handle the work, as they finished their tasks within a couple of hours. Hurley said these items, which were in nice condition and would bring in good money for the store, are a big priority for Restore. The second team processed plates and cups donated by Virgin Airlines. The process, Hurley said, involved determining what was donated, defining each item's price, unpacking items from the box, adding a price tag to each item and placing them on the store shelf. But there was one glitch, Hurley said. The team was disconnected from the end process of stacking the items on the shelf, so the volunteers kept producing. That led to some shelves getting overloaded, greeting the volunteers with a big crash toward the end of the project. About 20 percent of the processed dishes were lost, but the glass shelves were fine. "As with most process errors, not having all the upfront requirements was partly to blame, along with being disconnected from the entire process [stacking on the shelf]," Hurley said. Still, the team provided value to Restore, and the volunteers said it was a great bonding experience. "Working together allowed us to get to know each other, since it can be hard to do that during the conference," Hurley said. Next year's annual conference service project is scheduled for May 20 in Pittsburgh. A number of IISE's societies and divisions have elected or appointed officers for the upcoming year. Each group's president-elect goes through a three-year cycle: president-elect the first year, president the second year and past president the third year. Hui Yang, an associate professor at The Pennsylvania State University, is the division's new president-elect. New members of the board of directors for 2016-2018 are Bimal P. Nepal, Brian Quanz and John S. Usher. Nepal is an associate professor at Texas A&M University. Quanz is a research staff member at IBM Research. And Usher is a professor at the University of Louisville. Ashish Nimbarte, an associate professor at West Virginia University, has been appointed president of the division. Mehdi Khazaeli, an assistant professor at the University of the Pacific, has been appointed president-elect. The division has a new communications director, Omar M. Ashour, and a new Wellington Award Committee Member, Mingzhou Jin. Ashour is an assistant professor of industrial engineering at The Pennsylvania State University, while Jin is an associate professor in the Department of Industrial Engineering at the University of Tennessee. Jin's term is from 2016 to 2019. Division members selected Ertunga C. Ozelkan as their new president-elect. Ozelkan is an associate professor at the University of North Carolina-Charlotte. Voters picked four new directors for the 2016-2018 term: Emily Marie Atchison, Matt Bruner, Khaled M. Mabrouk and Sheng-Hsien Teng. Atchison is a continuous improvement specialist with Parker Hannifin-Stratoflex. Bruner is an industrial engineering support supervisor for UniFirst Corp. Mabrouk is an operational engineering leader for Sustainable Productivity Solutions. And Teng is a professor at the University of North Carolina-Charlotte. The new president-elect is Faisal Aqlan, an assistant professor of industrial engineering at Penn State Behrend. Voters picked four new members of the board of directors for the 2016-2018 term. They are Omar M. Ashour, Diana P. Berry, Pratik J. Parikh and Murat Erkoc. Ashour is an assistant professor of industrial engineering at The Pennsylvania State University. Berry is a center of excellence specialist for UPS. Parikh is an associate professor for Wright State University, and Erkoc is an associate professor for the University of Miami. Scott E. Grasman, a professor and head of the industrial and systems engineering department at the Rochester Institute of Technology (RIT), was voted in as president-elect. Katie McConky and Christina H. Rinaudo were elected to the board of directors for 2016-2018. McConky is an assistant professor at RIT, and Rinaudo is an operations research analyst at the U.S. Army Corps of Engineers. Weihong (Grace) Guo was named president of the Process Industries Division as of Sept. 1. Guo is an assistant professor in the Department of Industrial and Systems Engineering at Rutgers University. Division members have voted in Kamran Paynabar as president-elect. He is an assistant professor at the Georgia Institute of Technology. New members of the board of directors are Zhaojun Li, an assistant professor at Western New England University, and Ana Laura Guerrero, an assistant professor at Cal Poly Pomona. Sreekanth Ramakrishnan, a senior data scientist, client experience, for IBM Corp., has been voted president-elect. New board members for 2016-2019 are Ona Egbue, Patrick Hester and Pilar Pazos-Lago. Egbue is an assistant professor at the University of Minnesota Duluth, and Hester and Pazos-Lago are both associate professors at Old Dominion University. Niranjan Kulkarni also has been appointed to the board. He is filling an unexpired term that will end in 2017. Ashley Benedict, a systems redesign coordinator for the VA Sunshine Healthcare Network, has been voted in as president-elect. New directors for the 2016-2019 term are Evelyn Brown, Lauren Todd and Lauren Cooper. Brown is a professor at East Carolina University. Todd is a senior management engineer at Intermountain Healthcare. Cooper, who also is the chair of the 2017 Healthcare Systems Process Improvement Conference, is a capital planner for Aramark. Division members picked Gregory Weisenborn, chair of the Department of Management and Marketing and associate professor of management at Fort-Hays State University, as their president-elect. Tiffany Cremer, a senior industrial engineer at Northrop Grumman Corp. in Linthicum, Maryland, is a new member of the board. Jake Stevens of OPS Solutions, who is studying at Kettering University, is a new student board member for 2016-2017. 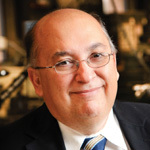 Division members voted in Miguel A. Gonzalez, associate vice president for research at the University of Texas Rio Grande Valley, as president-elect. New members of the division's board of directors are Edward L. Eisbrenner, a senior industrial engineer with Ford Motor Co., and Alex Pacheco, an operations excellence manager for Georgia Pacific. Two IISE journals, IISE Transactions and The Engineering Economist, are looking for new editors-in-chief to take over on Jan. 1, 2017. Both positions are four-year, nonrenewable terms, and candidates must be IISE members, have a record in research in one of the topical areas covered by the journals and prior editorial experience. The institute's flagship journal, IISE Transactions, which is changing its name from IIE Transactions in January, is a refereed journal that publishes original, high-quality papers on a wide range of topics of interest to industrial engineers. The Engineering Economist is a refereed journal of original, high-quality papers covering topics of interest to industrial engineers and engineering economists. The editor-in-chief is responsible for the journals' technical content and direction and oversight of the publication process. In addition, the IISE Transactions editor-in-chief manages the IISE Transactions best papers awards. The Engineering Economist editor-in-chief also manages the ASEE Eugene L. Grant best papers award. Nominations should include a resumé of individual qualifications with experience that includes industrial engineering research and research administration. Self-nominations are encouraged. Complete nomination details for IISE Transactions are available at www.iise.org/transactionseditor, and nomination details for The Engineering Economist are posted at www.iise.org/economisteditor. Nominations will be accepted until Oct. 1. Send nominations to Donna Calvert, Chief Operating Officer, Institute of Industrial Engineers, 3577 Parkway Lane, Suite 200, Norcross, GA 30092; or email them to dcalvert@iise.org. Ling Rothrock, formerly an associate professor, has been promoted to full professor in the Harold and Inge Marcus Department of Industrial and Manufacturing Engineering at The Pennsylvania State University. Rothrock is also associate editor of IIE Transactions on Occupational Ergonomics and Human Factors. Pratik Parikh, associate professor at Wright State University and faculty advisor for the school's university IISE chapter, has received the Outstanding Faculty Award for 2016 in the College of Engineering and Computer Science. He is president of the Dayton-Cincinnati professional chapter (2016-17). Maj. Christina Rusnock, a faculty member within the Graduate School of Engineering and Management at the Air Force Institute of Technology, was selected as the 2015 Air Education and Training Command's Officer Educator of the Year for her significant contributions to AETC's educational mission during the academic year. William E. Hammer Jr., principal consultant of Hammer Management Consulting, has been appointed to serve on the University of Dayton Management Information Systems Advisory Board. An IISE fellow, Hammer is a past president of the Dayton professional chapter and past senior vice president of IISE. Edward A. Pohl, professor and head of the Department of Industrial Engineering at the University of Arkansas, received the John L. Imhoff Global Excellence Award from the American Society for Engineering Education. Agata K. Chmiel, a student at the University of Illinois at Chicago, has earned a Lindeburg scholarship from Tau Beta Pi, the engineering honor society. Jessica J. Lewis, a student at Northeastern University, has earned a Stabile scholarship from Tau Beta Pi, the engineering honor society. Jonna Gerken has been selected president-elect of the Society of Women Engineers. Gerken, a project manager at Pratt & Whitney and IISE member for more than 20 years, leads the startup of international OEM facilities. Let your peers know about hirings, promotions, awards, appointments and other notable accomplishments. Send Kudos items to Michael Hughes at mhughes@iise.org.